SNI: What is the most annoying exercise myth that you deal with in working with clients? Mak: When women say “I don’t want to get big, so I don’t want to lift heavy.” – Now liftying and lifting heavy are typically very different for women. It is a fact that we women need weight training, to help increase metabolism, bone density, and over all health.There isn’t too much benefit in lifting the 1, 2,and 3lbs (unless you are coming off an injury) but other than that at least challenge yourself with 5lbs or more!! Heavy lifting is really more when one is lift for either a one max rep (the heaviest weight they can do for one repetition) or only a few repetitions. This is not typically your weight loss, body shaping weight training protocol. For general conditioning and weight reduction, you still have to have enough weight to make it challenging, but it still isn’t considered “heavy”. SNI: What is the ‘perfect meal’ for you? Describe what you would eat and why. Mak: Oh lets see, I love a wide variety of foods, but mostly my favorite meals have a majority of protein (chicken fish turkey, lean steak occasionally) and LOTS of veggies – mostly green – spinach, asparagus, green beans, bell peppers, etc. . . .and using them in different combinations, instead of eating the same thing all the time, just because it is healthy. The body needs to have a mixture of foods so it doesn’t plateau, just like it needs a mixture of exercises. 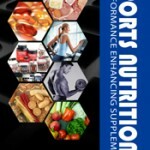 SNI: Give your top 5 supplements for health and why. Mak: Well, lets see, right now, since I just had a baby, I am still taking my prenatals, which I love because not only are they a complete vitamin, they also have digestive support and a vitality blend that includes chlorella, spirulina and alpha juice.I take an DHA/EPA omega blend, which is good for me and baby too. And lastly, a probiotic – just for general digestion and absorption. Those are my key supps right now. Before baby I would also take a mixture of the following, glutamine, BCAAs, and AHCC (a mushroom blend to keep me healthy). SNI: For women who want to develop their booty like there’s no tomorrow, describe the best exercises for that. Mak: Well I always say the single best leg exercise is the LUNGE!! There are so many variations of it that can target the glutes in so many effective ways. Just by changing the angle of where the leg lunges, can change the emphasis it has on the glutes. I think this is the single most effective exercise! SNI: For those who want a 6-pack, what’s the secret? Diet? Describe the best way to eat for attaining those abs. SNI: Describe the ‘perfect workout’ if your goal is fat loss. BIO – Over the past 19 years certified fitness expert Laura Mak, has used her Master’s Degree in Exercise Science from Michigan State University to help others live a fit lifestyle. She has made it part of her career in fitness to be a healthy living leader, a forward thinker, and a positive woman’s role model in every way when she undertakes a new project. Since her early days in training as an elite gymnast and then on to the top ranks as an IFBB Fitness Pro, Laura Mak has taken her passion for Lifestyle Fitness, Online Women’s Fitness Training, and Pre and Post Natal Specialist to a level only reached by the top echelon in the fitness industry. Laura has been interviewed, featured, and contributed articles as a Fitness Expert in numerous health and fitness magazine publications such as Oxygen, Muscle and Fitness HERS, SELF, Prevention, FITNESS, Muscle and Fitness, Ironman, Natural Muscle, H2O Fitness, Planet Muscle, and Le Monde Muscle (French). She has been interviewed or featured as a fitness and wellness expert on Fox Sports, ESPN2, TBS, and local affiliates of NBC, ABC and WB. Laura Mak has had the pleasure to work with a variety of people such as professional athletes, entertainers, top CEO’s, and numerous clients who want to take their fitness to the next level. Whether your goal is weight loss, body fat reduction, strength training, stretching and flexibility, or simply increasing your energy through out the day, Laura’s master fitness coaching plan can work for you! According to her clients, Laura has an enthusiasm that is contagious, a patient teaching platform, and the commitment to help you achieve results fast! You may be laughing and having a great time while working with Laura, but it is all part of the plan to improve your fitness lifestyle. This entry was posted in Fitness, Interviews and tagged fat loss, fitness, Laura Mak on February 4, 2012 by SNI.